Here in the spring of 2017, we often have difficulty reconciling the prophetic pages of Holy Scripture with the reality of what we see daily in the news. We wonder what exactly that final world government, final world religion, and final world leader will look like. Much speculation has been put forth recommending this person or that religion, with supposed proof texts both from secular and scriptural sources, but the truth is, we will not know until it happens. But two instances will absolutely force an immediate change in the world. The first is the Rapture of the Church. The second is the final world system. As most Christian watchers are already aware, we cannot know the day or hour of Christ's return. But we also know that we should be cognizant of the season of His return. The Apostle Paul writes but of the times and the seasons, brethren, ye have no need that I write unto you. For yourselves know perfectly that the day of the Lord so cometh as a thief in the night (1 Thess. 5:1-2 NKJV). That word 'perfectly' in the Greek is "akribōs," and it means exactly, accurately, and diligently. The Prophet Jeremiah uses that same form of the word perfectly in Hebrew when writing chapter 23 verse 20 saying: The anger of the LORD will not turn back Until He has executed and performed the thoughts of His heart. In the latter days you will understand it perfectly. So Paul was saying that we would know exactly that the day of the Lord comes as a thief in the night. That might appear somewhat paradoxical at first, but then Paul gives some additional clues that shed light on the context. Aside from the obvious benefits believers will experience at the moment of the Rapture, is the momentous transition the world will be thrust into in a matter of seconds just after the fact. The Rapture will be the ultimate black swan event, because most of the world's population either does not think it will happen, does not think it can happen, or does not care. What we as watchers don't know, is how long that transition point will be, between the moment after the Rapture occurs, and the beginning of Daniel's 70th Week (aka...the Tribulation). Everything at this time is speculation. It seems unlikely that the Tribulation will begin immediately after the moment of the Rapture. The reason for this is that the Rapture will by necessity, trigger a series of crisis points in just about every sector of human life; these need to be drawn into the final world system. The current rate of technological advancements is that computing power is doubling every 24 months. Computer efficiency is doubling every 18 months. Because of this, men like Elon Musk (businessman/futurist) fears that artificial intelligence (AI) will gain self-awareness and take over the world soon. In his view, the only way to counter this threat is to enhance humans to the point at which we equal with AI. But it is not just Mr. Musk who is diligently seeking this new endeavor of modifying the human brain. Facebook, Google, and the Defense Advanced Research Projects Agency (DARPA) are amongst the American entities pouring hundreds of millions of dollars along with harnessing some of the greatest researchers into doing just that. Even still, DARPA was not doing this in a vacuum. It would seem that this endeavor was given the full 'two thumbs up' by the former administration known as the BRAIN initiative, which began back in 2013. If there is any correlation between the nuclear arms race and the artificial intelligence race, it is that time between breakthroughs rapidly increases. Nine years before the Manhattan Project, a Jewish-Hungarian scientist named Leó Szilárd discovers the nuclear chain reaction. By 1939, the Nazi's began their German Nuclear Energy Project. From there, if you look at the natural progression and timing of events for the production of the first atomic bomb, the only constant is the frequency and intensity of the sequence of events. These are just the highlights! 1949: Russians conduct first atomic test "First Lightning"
In just 12 years, we went from the concept phase to three nations have nuclear weapon capabilities. The next decade, an additional three nations develop nuclear weapons as well as the US and Russia creating increasingly more devastating forms of nuclear weaponry. The difference between the nuclear arms race and the current artificial intelligence race is that whoever successfully and operationally develops AI first (which is predicated on successfully integrating quantum computing into it) is the winner. When I mean winner, I mean that AI, either out of self-preservation or at the behest of its governmental representation, will by default take every other system offline so as not to be challenged by any other form of AI. Where a nuclear exchange between the US and USSR was viewed as a zero-sum game, the AI race will become a winner-takes-all scenario. The first nation to bring AI online is the winner because that system can take over every other system out there. Anything connected to the World Wide Web, or is connected to a cyber interface, is fair game. For the purpose of this article, I'll just refer to this final system as The Beast. The Beast could take over other nations power grids (if they are connected online) and shut them all down in a matter of seconds. It could launch a nation's missiles against itself, or blow them in place. The Beast could take over ships, planes, defense systems, and economic systems offline in minutes. As connected to the internet as this world currently is, there really isn't anywhere or anything anyone can do in the industrialized nations but submit to its authority. That is why this race has so much riding on it. Hence, why nations are spending insane amounts of time, energy, and money trying to be the first. While the ancient Greeks may have had a rudimentary understanding of "a god from a machine" (Deus ex machina), Satan most likely didn't. I believe he recognized the potential early on in its ability to solve, unsolvable problems. What he lacked was omniscience and that God's agenda was to send forth His Son (Jesus) to become God in the Flesh, die for mankind's sins, and then be raised from the dead on the third day. By doing this, Jesus was now able to build a universal body of believers known as the Church. He keeps them entirely by the indwelling of God the Holy Spirit, who acts both as a teacher/mentor as well as a Guarantee, sealing us as a purchase of His until the Day of our Redemption-the Rapture. (2 Cor. 1:21-22, Ephesians 1:13-15, 4:5). The irony of this Greek tragedy is that the supposed mechanism of man's deliverance becomes the ultimate instrument of his enslavement. 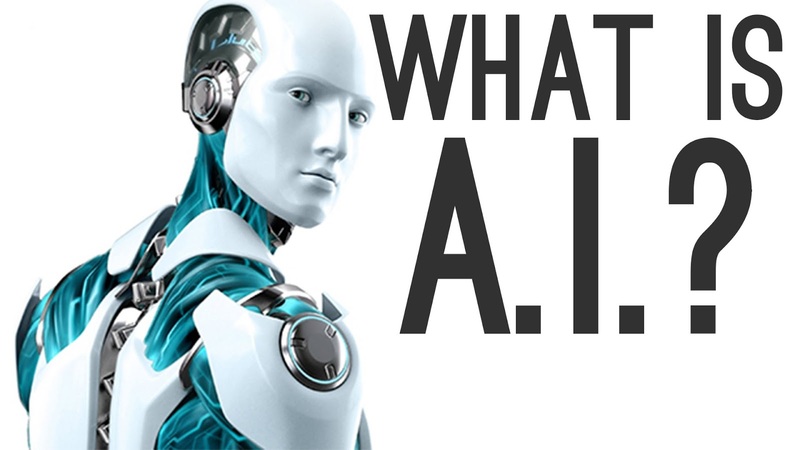 While mankind races recklessly forward trying to correct a perceived disadvantage humans have against artificial intelligence, they are doing this by introducing the very same technology into the human body that the Beast will one day use to extend his dynamic control over every person who has it installed. This is what believers know to be "the mark of the beast." Given what Scripture says about this final man (the Antichrist), it is unlikely the United States wins this race (Dan. 9:26-27). This, along with the supernatural backing by the ruler of this planet (2 Cor. 4:4; Eph. 2:2; 1 John 5:19), is how the final system comes to control over the entire world.